Sony is shaking up its flagship consumer electronics PR work by hiving off its press office from campaigning work. The loss-making electronics division of the Japanese multinational is understood to be putting out a six-figure brief to promote its array of devices in the UK. 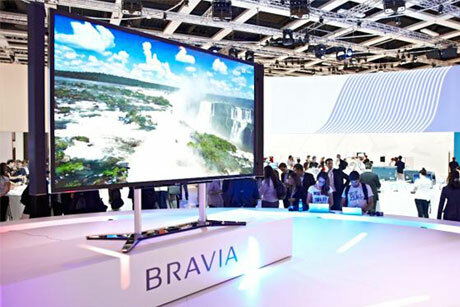 These include Bravia televisions, Cybershot digital cameras and Vaio laptops. Sony has worked with Cake for two years, but has put the agency on alert by dividing the brief into press office management and campaign activity. Sony’s electronics division originally appointed Cake for social media work in 2011 before the agency won the experiential and PR accounts later that year. Cake’s work on social media and experiential remains unaffected. The brief was described as a ‘flagship’ account by one agency head, who explained that work would centre on ‘restoring some of the lustre’ Sony’s products have lost in recent times. The review comes in the same month as Sony’s head of corporate comms Sally Osman, who oversaw all PR functions of Sony electronics operating units in Europe, leaves to become comms secretary for the Prince of Wales. The global electronics division has been a drag on Sony’s performance and in May its executives gave up their bonuses because it had been unprofitable for a second year. Earlier this month, PRWeek disclosed that Fever had been appointed to promote the launch of PlayStation 4 by Sony Computer Entertainment UK (prweek.com/uk, 3 June). May 2013 While Sony as a whole returns to profit, executives forgo bonuses worth 30 to 50 per cent of their annual pay. November 2012 Sony says it is cutting 10,000 jobs and selling assets to focus on mobile devices, games and digital imaging. August 2012 Sony unveils a portfolio of next generation products in a bid to revitalise its electronics business.